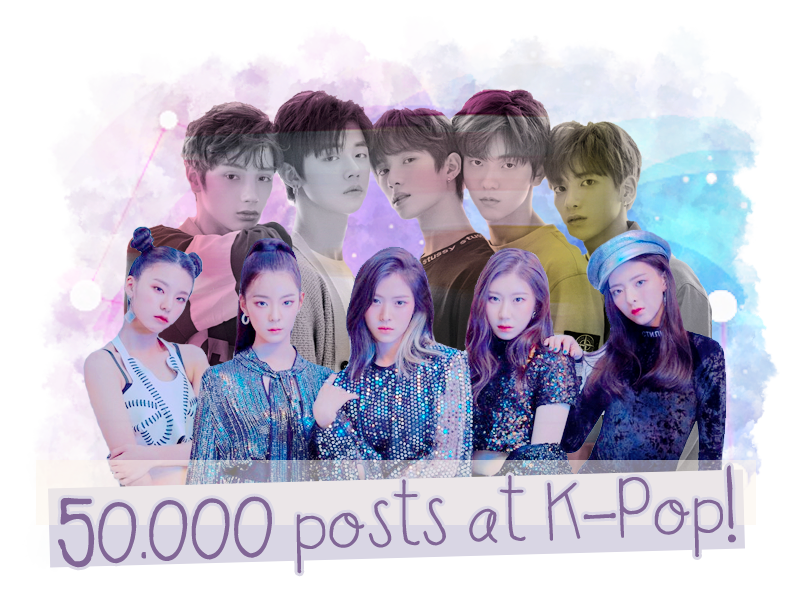 Fan Forum > Music Artists > K-Pop > 50,000 Celebration at K-Pop! It's that time again and we have a new celebration for the K-Pop board! Thank you to all the posters on the board for posting here and loving all things K-Pop. This year will be another fun one for us and we will continue to enjoy what is to come. We're just heading into our 8th month and already celebrating 50K posts!! This is unbelievable and all due to the enormous power at the fingertips of Ann, Rae, and Dave, the Three Amigos!! They really do keep this board running and without them, we wouldn't be where we are today. K-Pop is still really localized in South Korea, but slowly it's finally reaching it's way into other countries. I long for the days where I will be able to hear K-Pop on the radio just as much as I hear Western Pop. I know that I shouldn't be surprised that the K-Pop board has already reached such a milestone. We have been passionate posting machines since the campaign to get this board began. Even so, I remain in awe of all that we have accomplished and in less than a year! This is just the start of our phenomenal board. We have so much excitement coming our way and I'm glad I have such a great place to share it with you all. Well done, everyone! It's so amazing that this board has already achieved 50,000 posts in less than a year! The K-Pop board is such a fun and friendly place to talk about what we love. I'm sure the board will continue to grow and we will have more milestones in the future. Thanks Ann, Mee and Jac for the gorgeous OP and icons! Yes we are the three amigos! I love being an amigo That was cute, Mee! Once again it's time to party!! I was wondering which Jisoo you'd go for, but I guess ALL OF THEM was going to win. I wanted someone else to make a couple icons for 2NE1 so I can use one other than one I've made myself (since I prefer other people's icons) But I'll just probably end up having to use one of mine. choose a video and what you're after and I'll give it a go. Congrats on 50k posts! Lovely OP. If you make a specific request, like I did with mine by providing the images I wanted, then there's a good chance the icon will be made! You just gotta let people know That being said your icons are amazing!